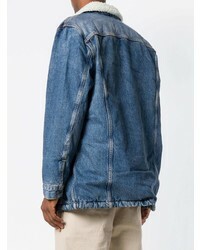 If you're on a mission for a casual yet stylish ensemble, marry a Levi's slim fit denim jacket from farfetch.com with blue skinny jeans. As well as totally comfortable, these two items look great paired together. 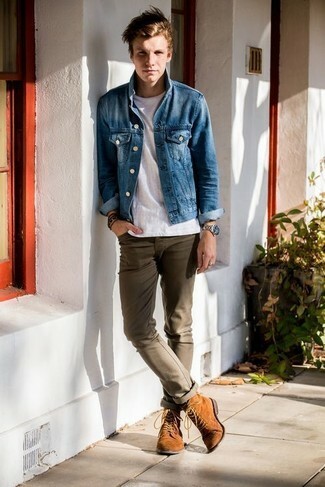 Go for a pair of brown leather work boots to make the ensemble more current. 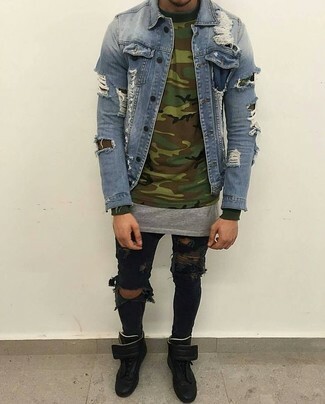 Pair a Levi's Slim Fit Denim Jacket with blue ripped jeans to get a city casual and stylish getup. 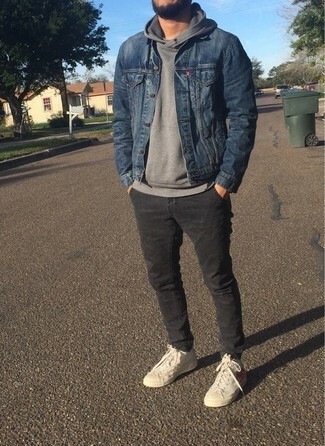 If you're on a mission for a casual yet sharp outfit, pair a Levi's slim fit denim jacket with charcoal chinos. As well as super comfortable, these items look great when paired together. Opt for a pair of beige high top sneakers for a more relaxed feel. 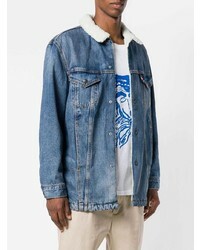 If you're after a casual yet dapper ensemble, dress in a Levi's slim fit denim jacket from farfetch.com and brown chinos. 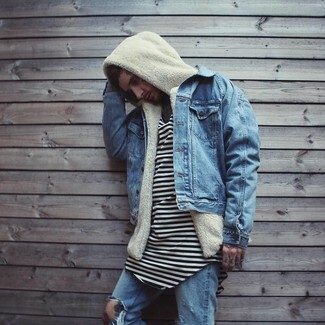 These two pieces are very comfortable and look amazing when paired together. You could perhaps get a little creative when it comes to footwear and elevate your look with tan suede casual boots. 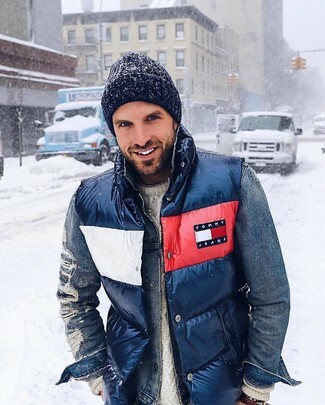 One of the most popular ways for a man to style a Levi's Slim Fit Denim Jacket from farfetch.com is to pair it with a navy quilted gilet in a casual look. 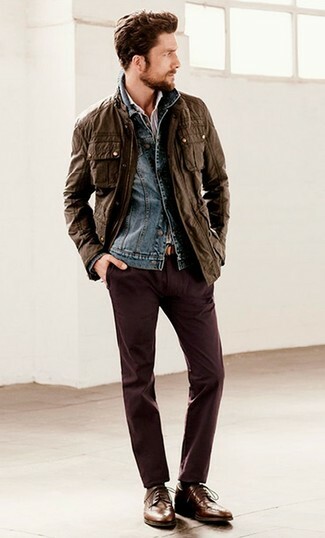 If you're on a mission for a casual yet seriously stylish outfit, dress in a Levi's slim fit denim jacket and burgundy chinos. As well as very comfortable, these pieces look great when paired together. Bump up the cool of your look by completing it with dark brown leather derby shoes. 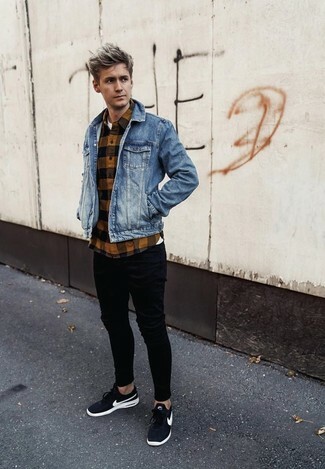 If you're a fan of functionality dressing when it comes to your personal style, you'll love this simple pairing of a Levi's slim fit denim jacket and black ripped skinny jeans. 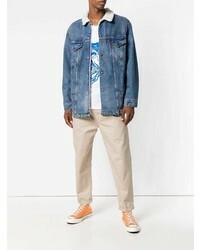 When it comes to shoes, this outfit is complemented wonderfully with black leather high top sneakers. 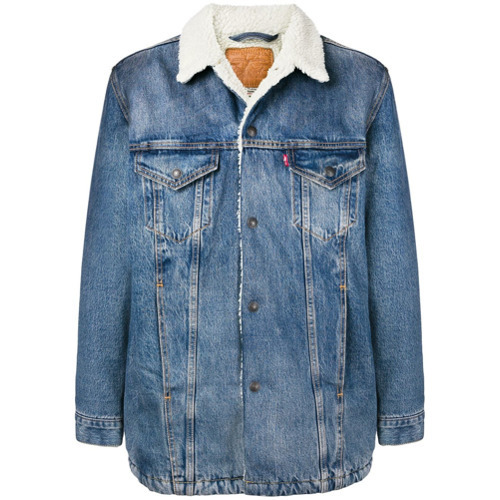 A Levi's blue denim jacket and black skinny jeans are essential in any modern gentleman's functional off-duty arsenal. Black athletic shoes will create a beautiful contrast against the rest of the outfit. 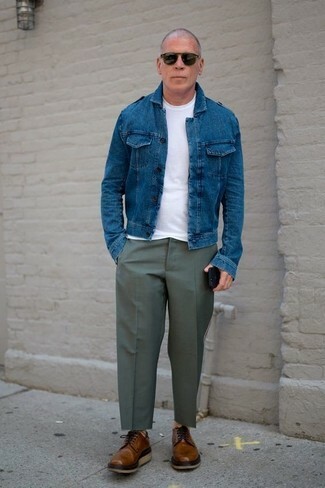 For a nothing less than incredibly stylish getup, wear a Levi's slim fit denim jacket with olive dress pants. 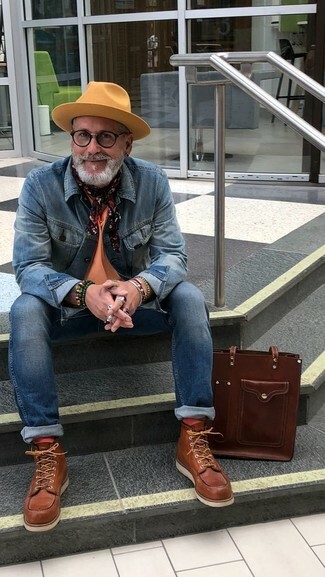 When it comes to shoes, this outfit is round off nicely with brown leather derby shoes.